Giorgio Armani released their fall 2013 right at the beginning of the season even before leaves were turning. 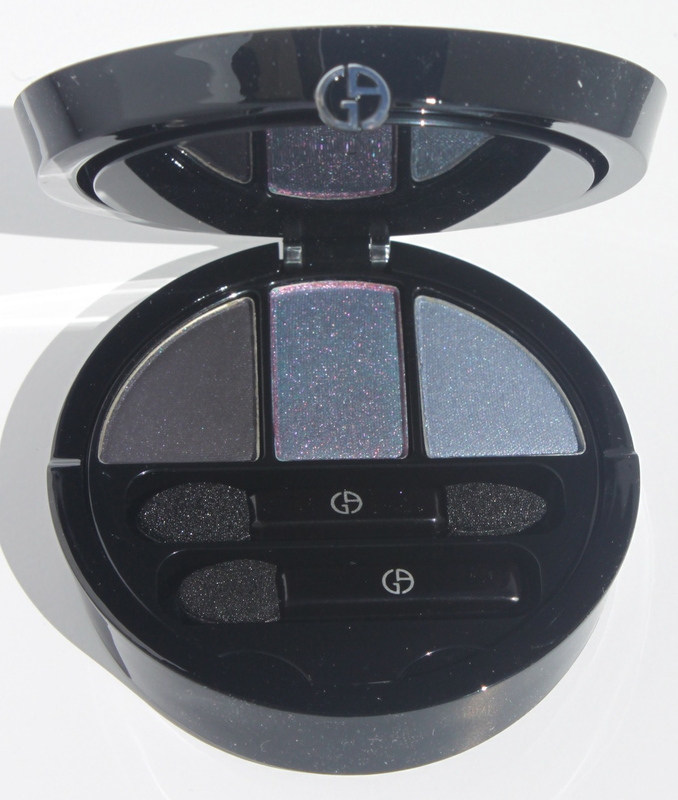 Before we have moved onto later fall releases lets revel in this beautiful eye and face palette – Mystic Blue. I would like to thank the lovely lady who runs Kaisobssesions for organising my Armani pieces. I have previously reviewed my picks from the Eyes To Kill Intense shadows here. Armani reformulated their shadows towards the end of last year. The shadows themselves are highly pigmented and long wearing. They blend well but have a drier texture than Tom Ford or Rouge Bunny Rouge. Mystic blue is a double tiered palette. The bottom tier has a trio of blues. As you might be aware of now the middle shade has an overspray that reveals a pop turquoise colour. I have show it in all its virginal glory- unsullied by my fingers. In the watches below you can clearly see the middle shade is a darling turquoise blue, a surprise for a fall palette. The left shade is a granite dark brown for lining or smoking up the look. The right shade is a periwinkle blue. 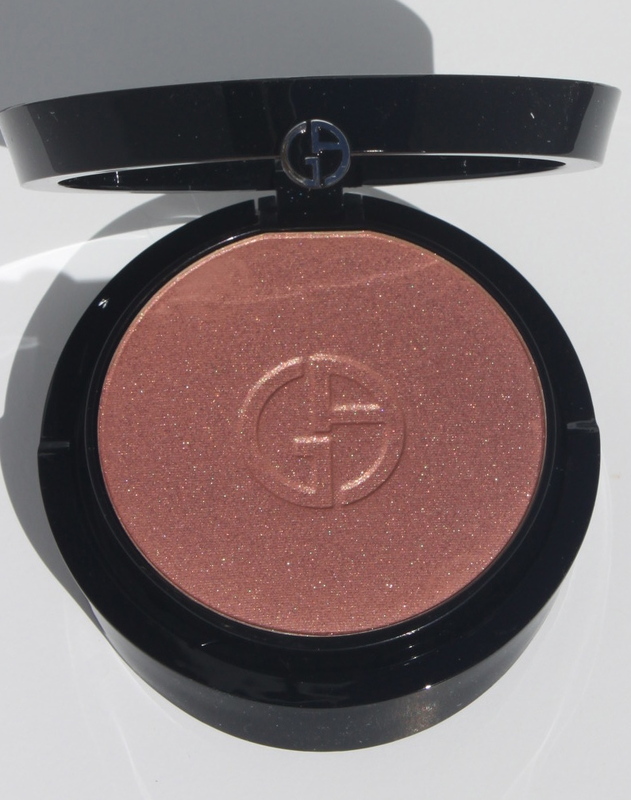 The top tier houses a golden peach cheek colour that is finely milled and is similar in tones the the Tom Ford Fire Lust illuminator (reviewed here) for summer 2013, but with more pigment as it is a powder not a cream. It gives a lovely flush to the cheeks. Previous Previous post: Charlotte Tilbury Retoucher in Shade 3 – Holy Grail? !